We’ve reimagined the ACT data experience. Now including Interest Inventory reports and grouped table columns, Comprehend helps you analyze your data better than ever. ALCA’s content specialists have unwrapped ACT Standards, providing you with Content, Skills, and Learning Targets for each standard. Linked learning targets give you one-click access to web searches for standards aligned resources. ​Discover how ALCA’s Planner helps you to quickly create daily lesson plans that include your unit activities, resources, and even elements from your Arch-based Curriculum maps for easy-access documentation of your instructional year. Check out our how-to video for creating and documenting Daily Lesson Plans using the Arch Planner. Catoosa PS educators for giving us new insight and feedback during the development of the Arch Daily Planner. The notes idea was excellent! Pleasant Grove PS early childhood teacher, Keela Mullennex, for significant feedback on how the planner can support the lower grades. Maryetta PS educators for their insight on the need for simplicity in their daily planning of their elementary classes. Enid PS AP science teacher, Terry Sacket, for how the planner can be used for lab-oriented, high level courses. 8 Arch Tools in 4 minutes! From beginning to end, see how teachers can benefit in their day-to-day work using the Arch Tools! With ALCA’s Arch web services, you can manage all of your instructional needs in one platform. Arch provides you with highly integrated tools to help teachers and administrators streamline their instructional activities. The Aurora Project: The Foundation of ALCA from ALCA on Vimeo. The Aurora Learning Community Association (ALCA) began in 1997 as a U.S. Department of Education-funded Technology Innovation Challenge Grant Project. The Aurora Project's vision then and now is to support educators and their students in INTEGRATING educational best practices and resources; technology; engaging, authentic, data-driven learning and teaching; and community involvement both online and local. This video does an exceptional job at describing just how far we all have come since 1997. Reflect on the tech that was available then and how far it has advanced today just within our smart phones. Consider how geography, our sense of place, can drive engagement and promote authentic application of our instruction, regardless of what we teach. We, as teachers and students, can now compare and contrast our communities in engaging and constructive ways while providing our students a purpose and benefit in their learning. It's not just about students being engaged in their learning, it's about students engaging their community as they learn. Learn more by watching this Southwest Educational Development Laboratory (now merged with American Institutes for Research)-produced Aurora: Creating Opportunities Providing Solutions video. SEDL was an active partner with Aurora throughout the project. Contact ALCA to learn more on how this vision can be part of your class, site, or district! Arch Calendar provides at-a-glance assignments! New features have been added to the Arch Calendar to make life easier for students, teachers, and parents! So, what's new in the Arch Calendar? A weekly and daily view have been added to the Calendar option to go along with the Monthly view. Print-friendly versions are now available. Teacher-specific weekly calendars can now be emailed or added as web links to district or site web sites. 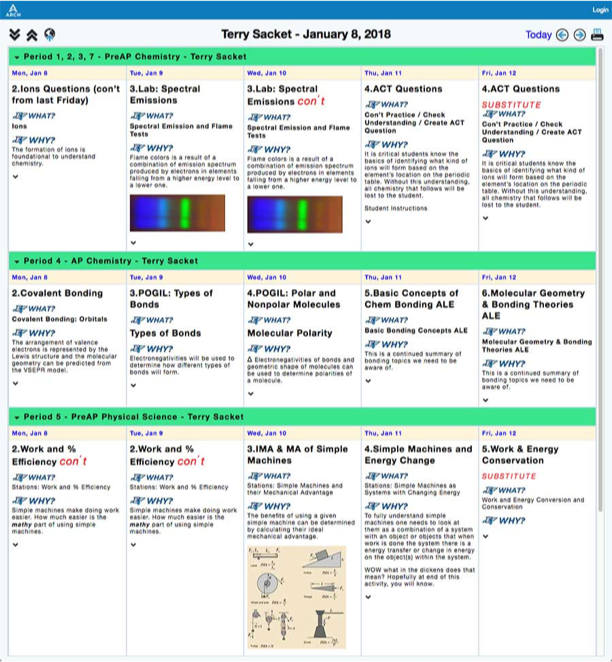 A Teacher-specific calendar iFrame, showing weekly assignments, can be easily added to a web site or other location on the web for quick access by students or school patrons. Directly access class home pages from calendar iFrames to view new class information as teachers update content. Students can access their assigned plan's coursework or assessments, presentations, and other resources directly from the calendar iFrame. For teachers, the printer-friendly version of the Calendar is ideal for use with substitutes or for individual student needs. We are excited to introduce our first three-part training series to create a cohort network that will allow members to drill deeper into the process of integrating Oklahoma Academic Standards within instruction and assessment using OAS content and skill vocabulary, Depth of Knowledge, learning targets, big ideas, and essential questions. Establish a strong foundation for Planning and Assessments by unwrapping concepts and skills, searching resources, and pacing units of study. The sharable resources created in this workshop streamline the process of planning and creating instructional and assessment plans addressed in the OAS Planning ~ Part 2 and OAS Assessment ~ Part 3 workshops. Collaborate and create with your Cohort peers sharable Instructional Plans integrating OAS Concepts and Skills, lesson frameworks, strategies, presentations, media resources, and student coursework. These plans integrate directly into one's paced units developed in the OAS Standards and Concepts ~ Part 1 Workshop. Create Assessment Plans integrating OAS Concepts and Skills and formative and summative assessments. Collaborate with Cohort peers in addressing best practice interim, unit, weekly or real-time assessments using online or paper-based testing or rubrics. Formative assessments are easily integrated into Instructional Plans created in the OAS Planning ~ Part 2​ workshop. Concept Driven Plan Editing from ALCA on Vimeo. In Arch, concept and standards maps provide a key role in greatly simplifying the day-to-day process of aligning concept and standards elements to lesson plans and student work. Watch the video above to discover how a teacher can quickly reflect on their planned instruction and the students' coursework modifying it as needed to match the plan's concept and standards maps. 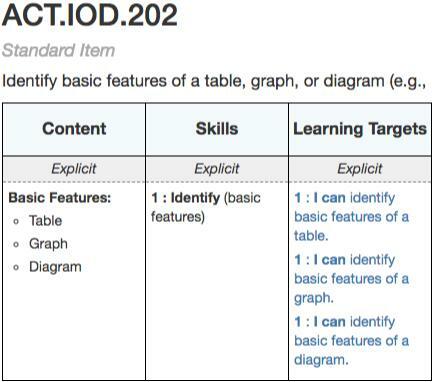 Discover how one can easily vet out how specific content vocabulary and skills are being applied to the planned activity while also having quick access to map-specific resources to include in that activity. Day to day engagement of concept and standards mapping (at least in Arch) simplifies the process of alignment in very pragmatic ways across planning, student coursework, instructional strategies, and the assessments being used. OAS pdf Trifolds now Available Free! The Oklahoma Academic Standards (OAS) Trifolds have been developed to support educators in a variety of essential tasks related to their standards. Specifically, the trifolds provide an excellent reference for teachers (and students) relating to knowledge and skills required for their current subject and what the expectations were last year and are for the coming year. The OAS Trifolds are an ideal tool for PLC teams. See the OAS Trifolds ArchDoc to access the ALCA Trifold Tools Guide and the numerous OAS Trifold pdfs for English Language Arts, Mathematics, Science, and Social Studies. The online version of the trifolds are available at no cost. The printed versions of the trifolds are 20 inches wide with the height varying depending on the standards sets within each trifold. For example, some ELA trifolds are 29 inches tall and Social Studies charts can be up to 33 inches tall. The printed Trifolds can be purchased at the ALCA Store. The Second Thing to do in Arch! Adding Students to a Professional Account in Arch from ALCA on Vimeo. In an earlier article we touch on the first thing to do after you have joined the ALCA Community. The second, is to add your students to your Professional account so you can then enroll them into our Classes. Watch the video above to see how quickly you can move forward with your students. 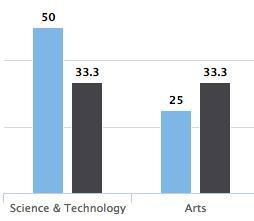 As far as student class enrollment, we need to make a distinction between educators who have a Professional account and those who have a Organizational Membership through their district or university. The above video applies to Professional members only. In organizational memberships, the district or university administration work with ALCA to establish the student accounts. If you have an organizational account as an educator and your classes are not already included in your Arch Classes, please contact your administration to determine next steps for moving forward with your classes and students. If need be, please contact ALCA using the contact information below. Your First Steps in Arch from ALCA on Vimeo. Arch helps teachers personally organize work around their classes using the Classes tool, one of ten tools in Arch. The Calendar tool helps to organize and streamline access to the classes and their assignments. In these two Arch Tools, teachers (and their students) focus on and accomplish their day-to-day work. Put another way, Arch Classes provide the Learning Management System (LMS) features in the Arch Data, Instructional, and Learning Management System (let’s just call it Arch). Analyze 3rd Party assessments for planning Class assignments to improve instruction and learning. Align Standards elements (i.e., content, skills, DoK, learning targets, big ideas, essential questions) for planned Class assignments. 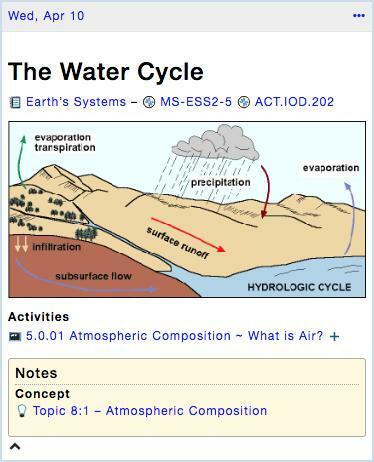 Align and use Concept elements and web and file resources in planned Class assignments. Create and use sharable media rich Planbooks, Units and Plans to assign in Classes complete with student coursework.